North Andover takes great pride in providing excellent education for more than 4,700 students. Outstanding public education is a top priority for the community, and the school budget comprises more than two-thirds of all town expenditures. The only Catholic Augustinian College in New England, Merrimack College is a vibrant, independent institution with approximately 2,300 full time students who hail from more than 23 states and 25 countries. In its 2011 ranking list of colleges nationwide, US News & World Report listed the College as #8 among regional Bachelor’s Comprehensive institutions, in addition to Princeton Review naming Merrimack as Best College in the Northeast. Featuring rigorous academics, small classes and a close-knit, active residential community, the College offers a wide range of business, education, engineering, liberal arts and science programs. 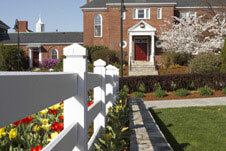 Situated in North Andover and Andover, the College’s beautiful 220-acre campus houses approximately 75% of the student population and boasts countless community and business opportunities for the Merrimack Valley. 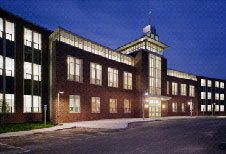 The North Andover Public School Department enjoys a reputation as an outstanding school system with a vision of excellence supported by high levels of community involvement, strong curriculum planning and instructional management focused on maximizing student achievement. While the School Department takes great pride in its facilities, the district focus is continually to improve academics. The high school serves 1,300 students in grades 9 through 12 and offers numerous electives and a wide selection of Advanced Placement courses. Complementing the academic program are extensive co-curricular and extra-curricular programs. The middle schools student population of 1,100 in grades 6-8 is offered a wide array of fine and applied arts courses and three foreign languages, in addition to the academic courses. The youth of North Andover are its most important resource, and the educational program offered by the public schools is the most cherished of our municipal responsibilities. Founded in 1926 and located on a pastoral 250 acre campus overlooking Lake Cochichewick, Brooks School is an independent co-educational secondary school with 370 students (70% boarders) from 30 states and 25 countries. During the past 20 years there has been substantial development in the arts, athletics and technology at Brooks, as well as upgrades that include a new library, dining hall, athletic center, science building, and dormitory. Academic programs have been added or expanded. An exchange program sends students to Africa, Hungary, Scotland, Peru, and Spain, while a summer science program places students in internships at Boston area labs and hospitals. With only four headmasters in its 86 year history, Brooks is distinguished among schools for its continuity of leadership.